not sure, I have a feeling we’ll be favored in that game. I block with my Contessa. I’m of the mindset that, hey, they’re like 2-150 since 1998 in primetime games, so good thing we don’t have any this year. Although another home MNF’er would have been fun. where are our other five losses? he has 7 kids??? Man, he’s catching up to Phil Rivers. open to the general public. 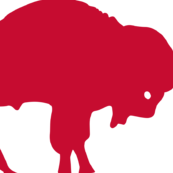 the May 3rd presale is too, but it looks like you need the OneBuffalo app for that? #5 seed. Cheats will go 12-4.